The key idea with being able to memorize med terms and vocabulary words is the create pictures for those words. Just take both the picture for the word and the picture for the definition and visualize an interaction between the two like we did above. That’s It! Just review a little bit and you will have these words fully memorized come test day. 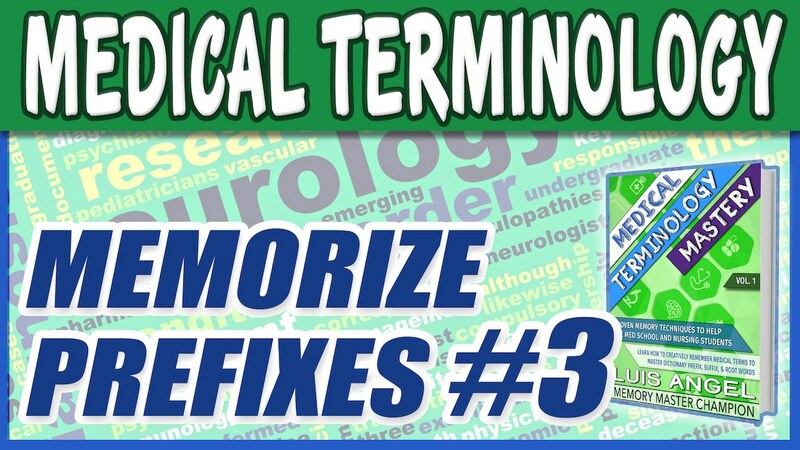 Remember that if you’re a Pre Med or Nursing Student studying to do well on your exams to get into medical school, the Medical Terminology Mastery Book will teach you the creative memorization techniques to turn Suffixes, Prefixes, Abbreviations, and any medical vocabulary root word into an easy to learn mnemonic.